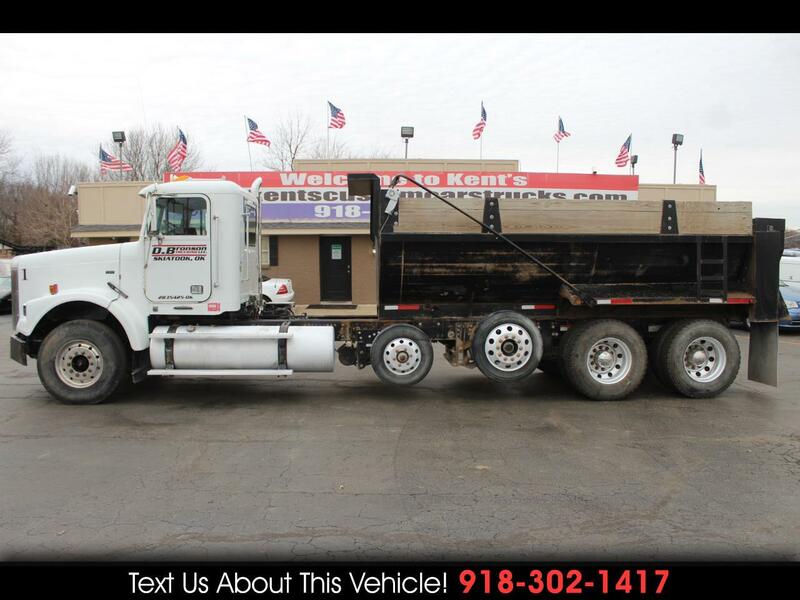 2010 Freightliner FLD120SD Standard Cab Dump Truck, 17' 450 Steel Demo Dump Bed, Ridewell Suspensions Lift Axle and Demo Bed are both just 1 year old, Mercedes MBE4000-435 12.8L L6 435hp Diesel Engine, Eaton Fuller 10-Speed Manual Transmission, 3.58 Axle Ratio, 22.5 inch Tires, 22.5 inch Aluminum Wheels, Engine Brake, Air Brakes, 203" Wheelbase, GVWR 66,500, Front GAWR 12,000, 1st Intermediate Axle 40,000, Rear Axle 40,000, Air Ride, Vinyl Seats, Air Conditioning, Cruise Control, Heated Exterior Mirrors, Tilt Steering Column, Tinted Windows, AM/FM Stereo with CD Player, AUX Input and Weather Band, Uniden PC68LTD 40 Channel CB Radio, Everything Works, Tires 90%, New Shocks, New Brakes, New Clutch, New Starter, 17 Foot 450 Steel Bed, 665418 Miles. For more information give us a Call at 918-371-8888 or send us a Text Message at 918-302-1417. Message: Thought you might be interested in this 2010 Freightliner FLD120.